One of the best parts about helping friends out with what I can do with art and design, (other than actually helping friends out), is being challenged with new and different projects that I will otherwise never have done. Part of what I love about art is constantly being reminded at the amazing amount of ways that art can permeate through daily life and culture. My usual comfort zone doesn’t involve designing for businesses or ads. In fact, I consider myself extremely unqualified to be doing graphic design of that kind, but I do like the challenge. 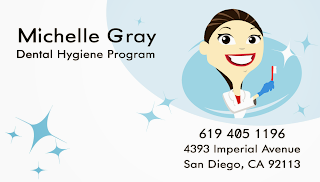 When I do agree to help out, I get to draw and design way out of my comfort zone. I get to stretch my ability, develop my knowledge and help a friend out. That’s a good feeling. The one drawback about not doing this for profit is I get lined up with more requests than I can handle sometimes. With all this being just a hobby that I can only do when I have spare time, I have to remind myself constantly…I do have a full time non-art related job that takes up the majority of my time. But I think it’s a good thing that art is a hobby for me and not a job. I really do. 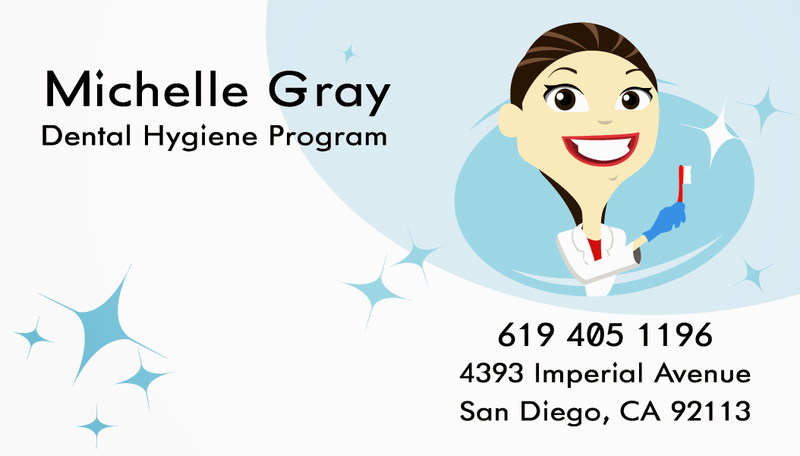 Below is a business card that I designed for a dental hygienist friend. I adapted it from a design off of Vistaprint.